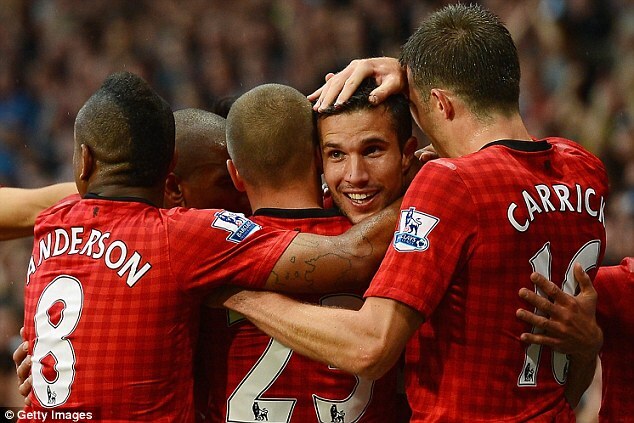 Dutchman Robin van Persie crowned his full debut for Manchester United with a stunning first goal for his new club in a nervy win against Fulham. Sir Alex Ferguson's brave decision to drop Wayne Rooney from his starting line-up paid off as new boys Robin van Persie and Shinji Kagawa scored in Manchester United's come-from-behind victory over Fulham. scintillating first half as Shinji Kagawa and Rafael added further goals. 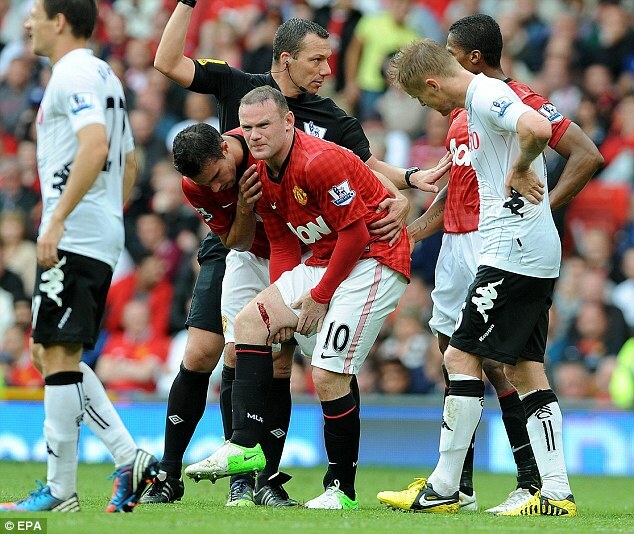 Rooney paid the price for a below-par performance in the defeat at Everton on Monday. And whilst it is viewed as a reminder from Ferguson that standards have to be higher, the respective performances of Van Persie and Kagawa were such that Rooney would not have been guaranteed a recall at Southampton next week. 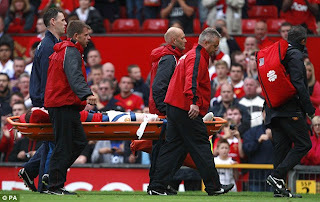 The successful introduction of Van Persie in an alternative 4-2-3-1 system left United fans purring about his attacking threat and he may have to play without Rooney in coming games, after the England striker suffered a nasty gash to his thigh following his introduction as a second-half substitute. A late injury to substitute Wayne Rooney and defensive worries aside, where Michael Carrick again had moments of alarm as a stand-in centre-back, Sir Alex Ferguson's side were dominant for large periods of the game and they could easily have scored more as Kagawa hit a post and Rafael had a second goal disallowed. Ferguson is more concerned about points, which were collected as the first-half response of Van Persie, Kagawa and Rafael to Damien Duff's second-minute effort proved enough despite a Nemanja Vidic own goal. Rumours swept Old Trafford that Rooney had been axed long before official confirmation was received an hour before kick-off. It is not the first time the England striker has suffered such a fate. On New Year's Eve last season, Ferguson omitted the 26-year-old for disciplinary reasons against Blackburn - a decision that proved very costly as the Red Devils suffered a home defeat against a team that went on to get relegated. Yet there was never any suggestion Rooney would be left out for the long term. However, as he made his way to the home dressing room after witnessing a powerful first-half display from the hosts, in which Ferguson's two big summer signings both opened their United accounts, Rooney must have had a worry or two. For in addition to their goals, Van Persie and Kagawa in particular caught the eye with how easily they fitted into the system. Kagawa excelled in the hole behind the main striker. His movement, speed and passing kept Fulham on the back foot. And this, shrewd judges from Japan insist, is his best position. Restored to the starting line-up following his Olympic campaign with Brazil, Rafael provided additional defensive security and he also had a goal correctly ruled out for offside before nodding home Young's chip to the far post just before the break. 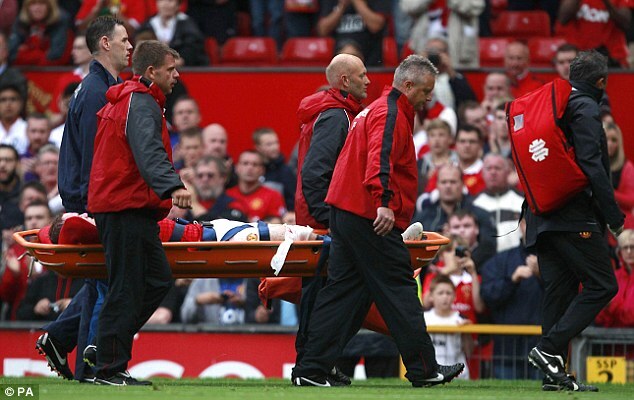 Yet, for all United's attacking endeavours, there remain serious flaws at the back amid a massive injury list.